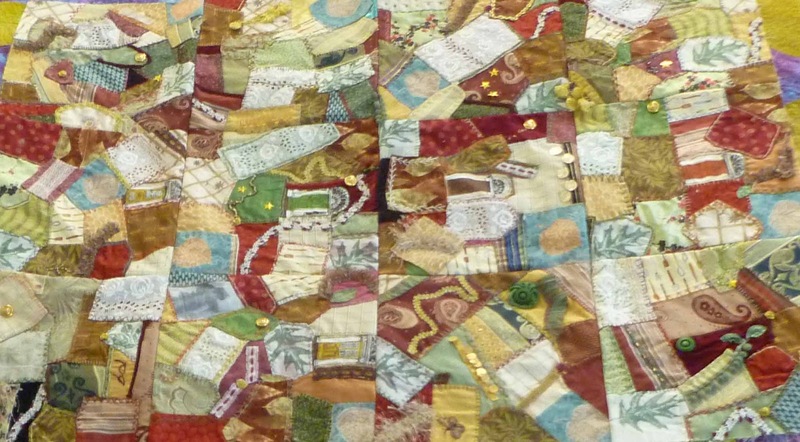 Remember Betsey's crazy quilt? 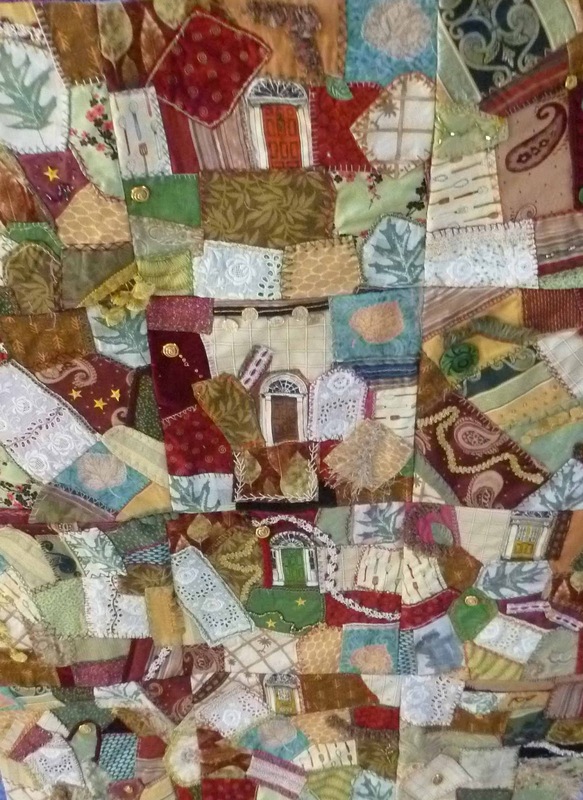 These were blocks she made in NY over 10 years ago before she moved to Maine. I DID sew it together with the fabric she had brought with her from NY for that purpose. 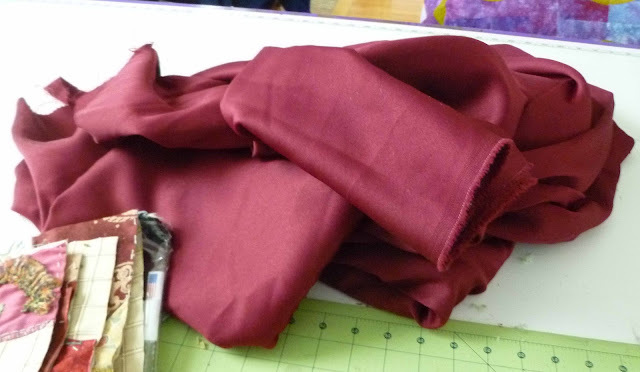 The fabric was a bit shiny and shifty like crepe. Not an appropriate fabric to sash and bind a quilt. It was SO shifty it just wouldn't behave. I sewed the seams fell flat and still it shifted. I finally took the entire thing apart, yes, even with fell flat seams. She took the squares home after I suggested we just sew all the blocks together like a traditional crazy quilt. It looks much better. She is purchasing COTTON fabric and I will back and bind it. Meanwhile this is what the quilt looks like so far. It is hard to photograph so this is a partial picture. When it is entirely finished I will photograph it being held so you can see it all. I like it with all the blocks stitched together. Good job Betsey!! Beautiful work! Now tell me... what is fell flat? I'm not a quilt scholar, and have never heard that term. All the blocks seem to work well together. Good plan!